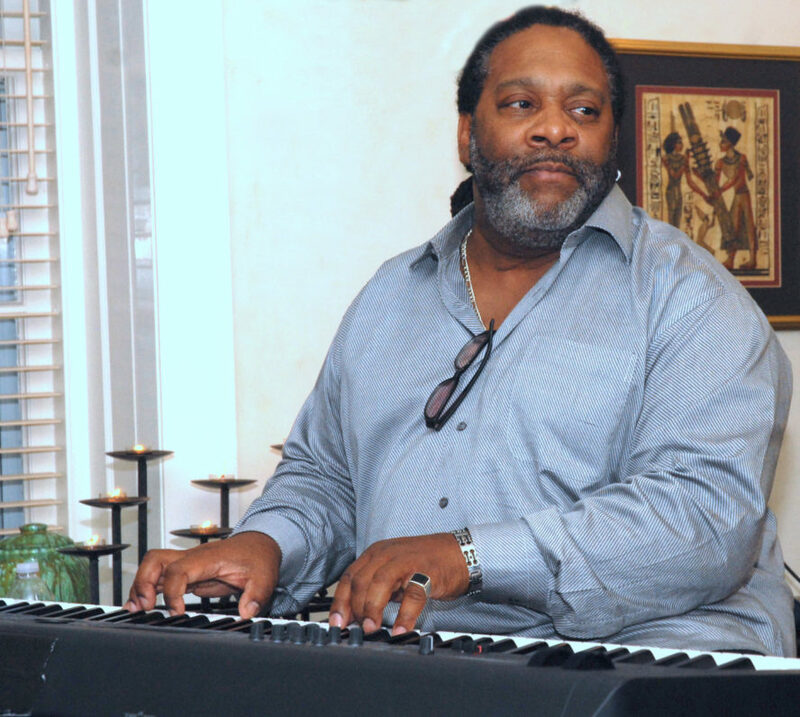 As we approach the anniversary of the passing of the Queen of Soul Aretha Franklin, we present the famed Al McKenzie, her final music director. He’s a Detroit treasure known for collaborating, performing, arranging or directing some of the heros of Motown and R & B. A longtime music director for the Temptations, his credits read like a who’s who of music: The Spinners, Jean Carne, The Four Tops, Mary Wilson, The Supremes, The Contours, Etta James, Stevie Wonder, Jennifer Holiday, Kim Weston and Anita Baker. When trumpeter Marcus Belgrave visited his junior high school in 1969, Rayse Biggs knew his destiny was to be a trumpeter. Belgrave, and later Donald Byrd, Herbie Hancock and Freddie Hubbard, became inspirations and mentors. After graduating high school, Rayse Biggs went on the road with a number of Motown acts — Smokey Robinson, the Marvelettes, and the Temptations. Since then his talents have taken him far and wide to such distant places as Senegal and elsewhere around the globe, performing with Kem, Was Not Was, The Dramatics, Kidd Rock, Bob Dylan, and many others. Singer Penny Wells has been described as elegant, seductive and smooth. Her sultry and sophisticated sound embodies jazz, classical, spirituals and gospel, all cascading into soothing and soulful hues, filled with a generous dose of rhythm and blues. Her first solo CD entitled “SHINE” was written, produced and arranged by McKenzie. Drummer Jeff Canady is a powerful drummer who can be heard on Dave McMurray’s new Blue Note release. He is a regular with McKenzie, and has also performed with Lin Rountree, Yancy, Karen Clark-Sheard, Evelyn Agee, Derrick Mylan, David Myles, Mark Mix and Lola Morales to name a few. Darrell “Peanut” Smith picked up the bass guitar while at Northwestern High School with famed bandleader Ernie Rogers. At the age of 16 he became drummer for the Jimmy Wilkins Orchestra, a local jazz big band comprised of musicians from the Count Basie Orchestra and Motown Records. While in college, Darrell joined the Teddy Harris Quintet. Soon after, he toured with Martha Reeves, and with the Spinners as their Music Director. Over the course of his career Smith has performed, recorded or toured with The Four Tops, The Temptations, G.C. Cameron, Andy Williams, Natalie Cole, The Supremes, Bob James, Aretha Franklin, Esther Phillips, Marlena Shaw, Etta Jones, Etta James, Ronnie Dyson, Joe Williams, Houston Purser, O.C. Smith, Spanky Wilson, Gladys Knight & The Pips, Dennis Roland, James Cleveland, Thomas Whitfield Company, The Gospel Workshop and host of other well known artists. Currently, he performs with recording artists KEM and Penny Wells, Motown Legend Martha Reeves, pianist Al McKenzie and saxophonist Dave McMurray. Get ready for dancing up a storm on this Summer Solstice evening. Tickets: $50; VIP seating in front rows with additional leg room: $60.